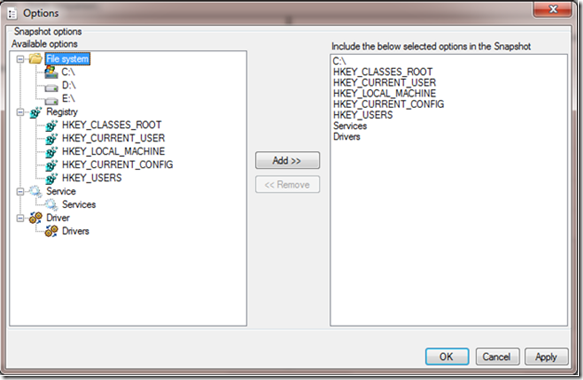 The Windows System State Analyzer tool ! It has been a long time since Microsoft came out with this nifty little tool that could help you find what has changed on a system. It allows you to take snapshots and compare them before and after taking the snapshot. 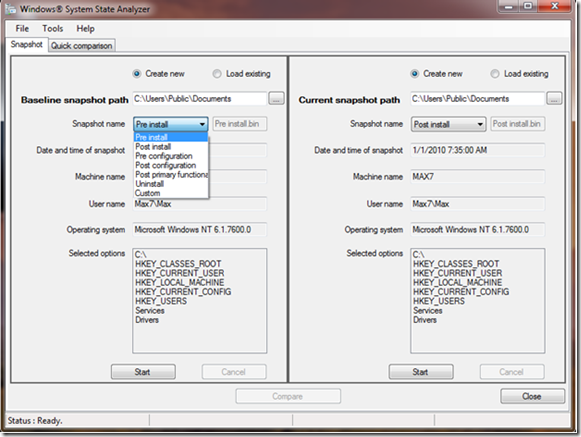 The basic functionality of the System State Analyzer tool is to allow you to compare two snapshots taken at different points in time. This allows you to compare the state of a machine both before and after an application install or probably you could use it in your VM as a first step in malware analysis or reverse engineering. This tool is a part of the Windows 2008 R2 Logo Software Certification and Windows 2008 R2 Logo Program Software Certification toolkits. 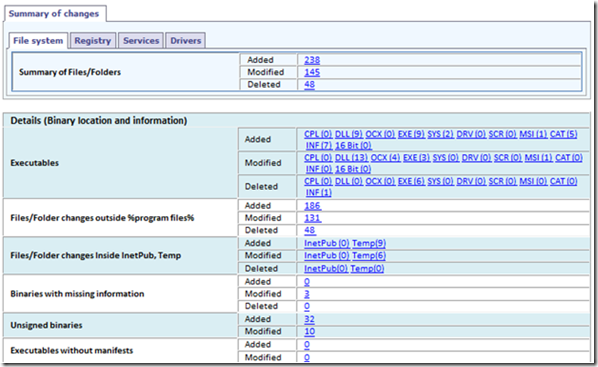 Hence you will need to download the toolkits to get the System State Analyzer tool.